Click on drop down tabs to view individual products, colors and pricing. *Please call or email for customized orders, or to have single hook rigs made. 48" of 15lb P-Line Fluorocarbon, one or two #4 red VMC hooks, seven 5 mm beads (#3 blades), or 6 mm beads (#4 blades), quick change clevis, custom painted blade and a quality crane swivel. **Custom orders are welcome and may include Indiana blades! ** Both styles are 66" in length and will accomdate spinning rods up to 7' in length. 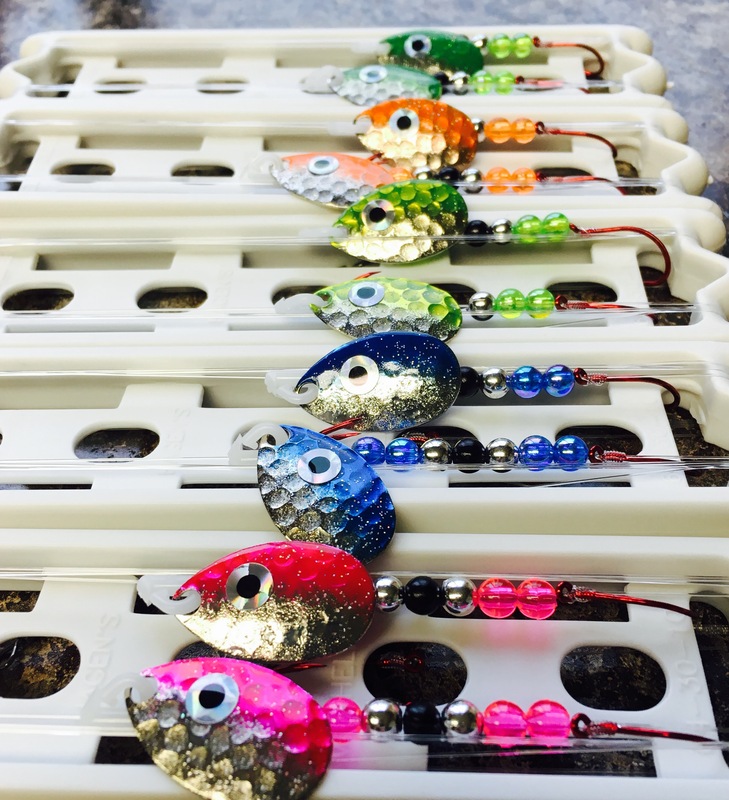 These are very nice to help organize your rods when they are stored in the side or floor compartment of your boat, or when transporting in your vehicle. They are 2 1/2" dia. and about 66" long. All Payments Are Processed Through Pay Pal.